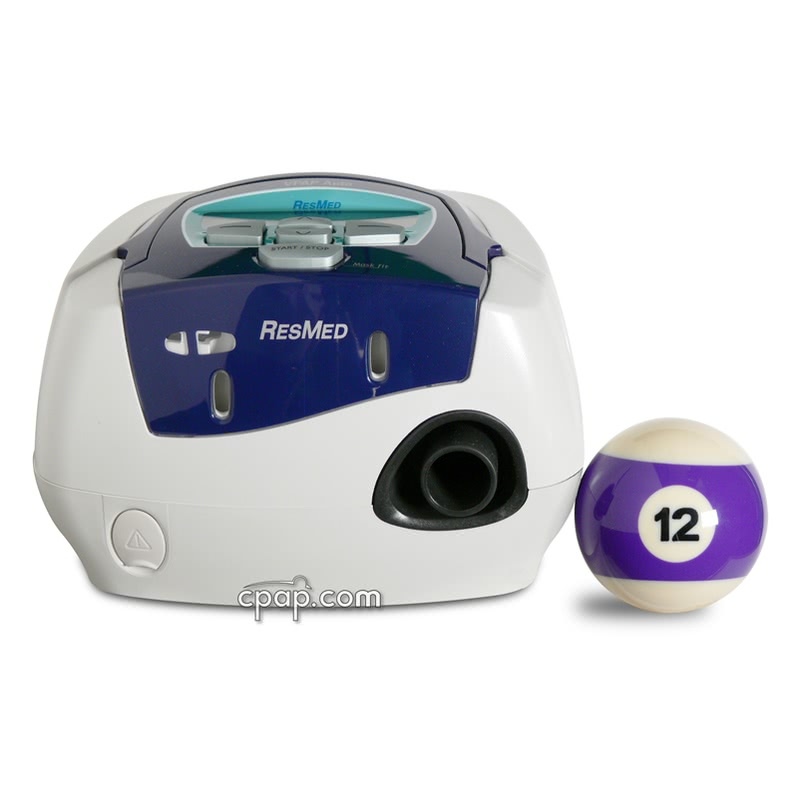 The ResMed S8 VPAP ST is an easy to use design that offers big performance in a small package. The VPAP ST (Spontaneous Timing) combines non-invasive ventilation with Easy-Breathe Technology. In addition to ventilator synchronization, the VPAP ST supports ResMed's TiControl, Vsync, and new optional Humidaire H4i Heated Humidifier. Packed with every feature ResMed offers, the VPAP series starts out with a wider pressure range, accommodating pressures from 3cm to 25cm H20 and supports five modes of operation (Spontaneous, Timed, ST, Vauto, and CPAP). 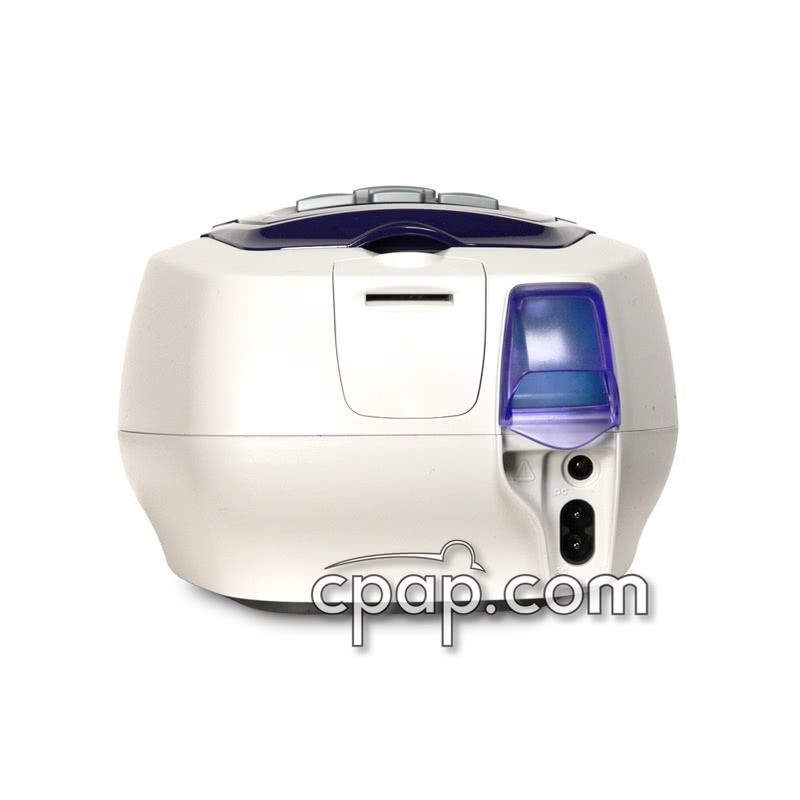 In addition to ventilator synchronization, the VPAP ST supports ResMed's Easy-Breathe Technology, TiControl, Vsync, and new optional Humidaire H4i Heated Humidifier. 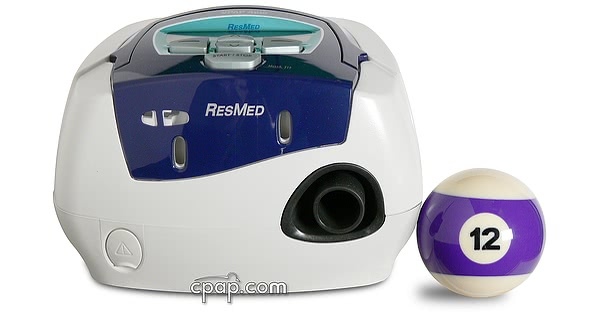 When non-invasive ventilation is required, ResMed offers three modes: Spontaneous, Spontaneous/Timed, and Timed. The VPAP ST and T modes provide a customizable backup rates to force a switch from exhalation to inhalation. Spontaneous mode simply reacts from the lack of breath with no time interval. Ventilated therapy can now take advantage of Easy Breathe technology. VAuto is engineered to prevent obstructions before they occur by responding quickly and accurately to flow limitations. The algorithm works on a breath per breath basis and automatically adjusts to find the lowest required pressure needed to prevent most snoring and apnea events. VAuto is so consistent in response to events it often adjusts on the very next breath after a flow limitation or obstruction. TiControl allows CPAP users to set minimum and maximum inspiratory time limits that provide a range to accommodate treatment for chronic obstructive pulmonary disease and respiratory conditions. ResMed has also included five trigger and cycle settings that help manage patient inhalation and exhalation patterns. Vsync is unique to the VPAP Series that automatically minimizes pressure loss due to mask leaks. 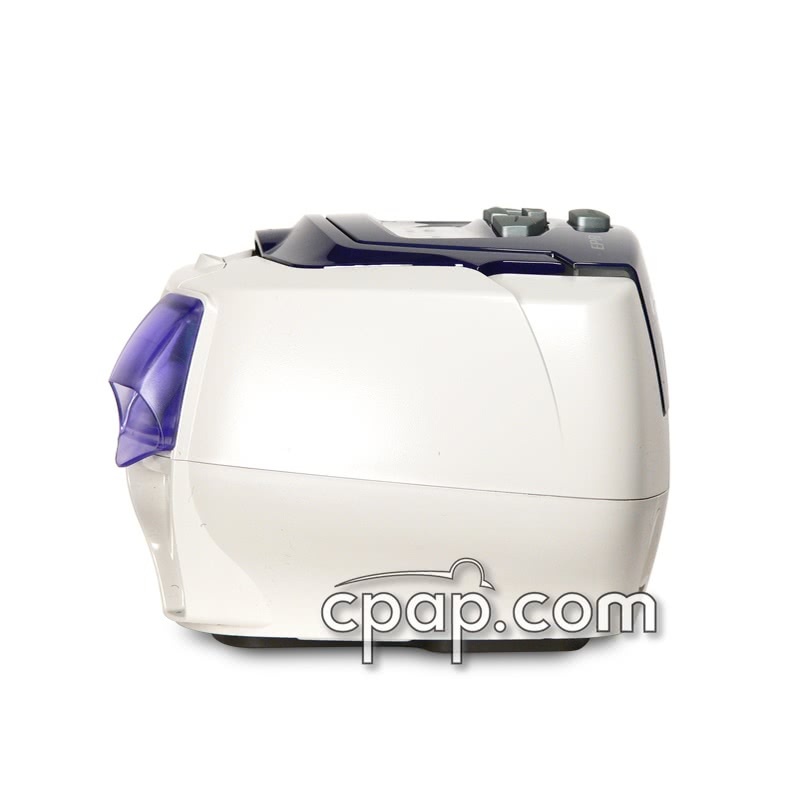 All three technologies help regulate IPAP/EPAP intervals through monitoring the breathing cycle (BPM) and Rise time. YOU MUST USE THE DC-24 Converter For ResMed when drawing power directly from a DC battery source (no inverter and no humidifier). Failure to do so can result in damage to your CPAP. ResMed S8 machines with a Humidaire heated humidifier (h3i and H4i) require a pure AC power source in order for the humidifier to work properly. The Humidiare humidifier is disabled when using the DC-24 Converter For S8 Machines. You will need the DC to AC Pure Sine Wave Power Inverter to operate both. 24Volt DC Power: Only use DC to AC Pure Sine Wave Power Converter for ResMed S8 Machines; otherwise, damage may occur. 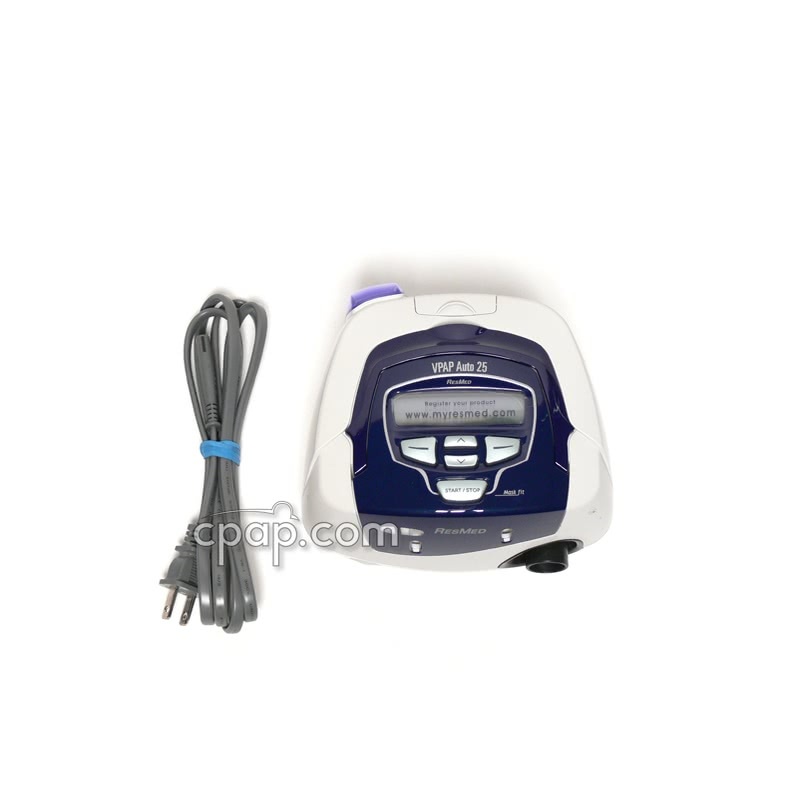 The user manual included with this machine can be viewed and downloaded here: VPAP ST.
Machine Alone (Without Humidifier): The following are the options for using the S8 VPAP™ ST from a DC power source such as a battery. DC Converter for S8 Machines. This DC-12 Converter connects the S8 VPAP™ ST directly to a cigarette-style DC outlet. Respironics Battery Kit with DC to AC Pure Sine Wave Power Inverter Second Gen. This battery kit is a combination of the Respironics Battery Pack (No DC Cable) and the DC Converter needed for the S8 VPAP™ ST. Although direct DC connection using the DC-12 Converter would provide much longer run time, if an inverter is used with the S8 VPAP™ ST it must be an inverter of at least 150W. DC to AC Pure Sine Wave Power Inverter Second Gen: This inverter will convert DC power to the pure sine wave power needed to power both the S8 VPAP™ ST and humidifier. Respironics Battery Kit with DC to AC Pure Sine Wave Power Inverter Second Gen: This battery kit is a combination of the Respironics Battery Pack (No DC Cable) and the pure sine wave inverter needed for the S8 VPAP™ ST with humidifier. What does a BiPAP ST prescription need to say? One of the following words or phrases: "BiPAP ST", "Synchrony ST", "VPAP ST"
A backup rate or BPM setting.